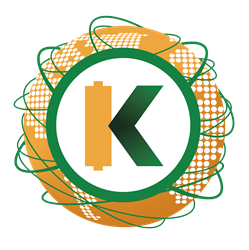 KWHCoin, a Blockchain-based energy innovator, announced today that it will donate $225,000 USD and 1,500,000 KWH coins to launch projects that will help bring reliable energy access to the 1.2 billion people around the globe without electricity. The donations be used to fund the development of microgrids and off-grid technologies for residential areas, hospitals, schools, local businesses, and municipalities in Puerto Rico, the Caribbean, Latin America, South America, Africa, and Southeast Asia. KWHCoin raised $1.1 million USD in a two-day private pre-sale held in late December from a community of clean energy advocates and cryptocurrency enthusiasts. In addition, the company recently announced an Initial Coin Offering (ICO) scheduled to launch on February 8, 2018. More information about the ICO can be found at https://kwhcoin.com/ico-information. The company will host an AMA (“Ask Me Anything”) for potential contributors with CEO Girard Newkirk on January 25 on the company’s Telegram channel (https://t.me/joinchat/Hb6FqhIgWqn9lJ5rNSCGMg). KWHCoin White PaperAn in-depth look at KWHCoin's plans to revolutionize renewable energy.